Maybelline Eye Studio Lasting Drama Gel Eyeliner Review Reviewed by Nikki Mishra on September 11, 2015 . 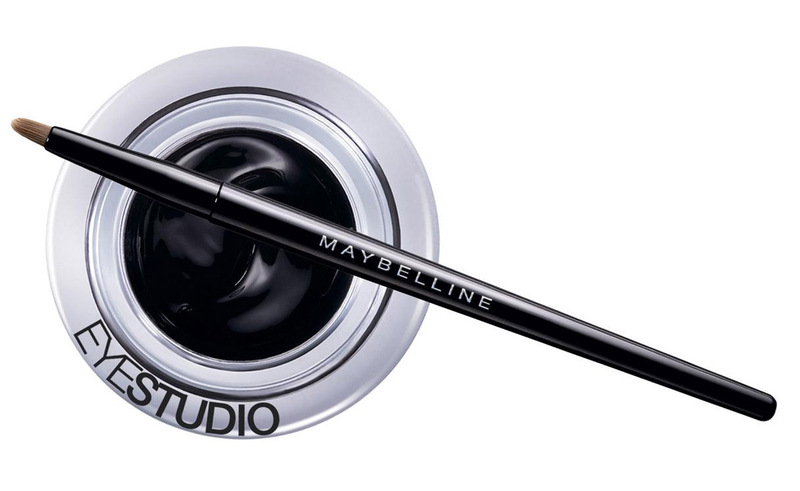 Maybelline Lasting Drama Gel Liner brings in dramatic touch on the eyes, highlighting the eyes with precision. A product that is recommend for all occasions! I do not generally love to experiment with eye makeup stuffs. But, if there are some new products from the renowned makeup brands, I would definitely love to go with them. I use to apply Kajal on my eyes. However, sometimes, I love to apply eye liners too. Recently, I have come across Maybelline Eye Studio Lasting Drama Gel Eyeliner, which I am using for a few months. The product is available in the marketplace for a long time. I thought it must be good otherwise how it managed to sustain for such a long time in the market? Check this review on drama gel eyeliner from Maybelline to find whether I am right or wrong. You can use to apply this eyeliner in various ways to bring a ‘dramatic’ change in your look. You can use this eyeliner for casual outdoors, parties and other events. Dramatic Look: With small strokes, you need to glide the liner from inner to outer corner of your eye. A single stroke is good enough, no need to re-draw. Enhanced Look: While drawing from inner corner to outer corner, make the line thick towards the outer corner. I suggest this look for parties, with striking western apparels. It even goes well with Indian dresses too. Casual Look: Draw thin line from inner corner to outer corner of your eye. It will highlight your eyes nicely, but would not make you look over makeup. Removing the Eyeliner: The eye liner is easy to remove with water. However I would suggest you to use cleansing milk for removing it. I would first start with packaging, which looks premium and classy. It comes with a brush for drawing the lines. The brush is useful and it makes drawing the strokes on the eyes easier. The package also includes a tub that comes with the eye lining product. The tiny tub looks nice, but it has a cheap aluminum lid. I am disappointed with Maybelline on this, as I expected a little better packaging of the product. Now, let us come to the business! These days, I use this product quite often. This is simply because I have fallen in love with it. Creamy gel texture of this product highlight eyes very nicely. The brush is perfect to do experiments with the strokes. My conclusion on this product is positive. 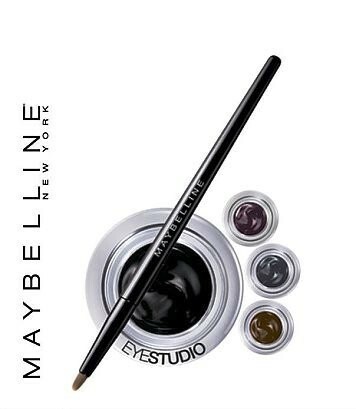 The best thing about it is that Maybelline Eye Studio Lasting Drama Gel Eyeliner is suitable for all occasions.